There's a joke in the East Village that if you turn the country on its side, everything loose will roll to California. This morning, East Villagers learned that in California, local Starbuckses have to label their coffee as cancer-causing. First off, how do you label coffee? Wouldn't it make more sense to label the cup? But what if you get hot chocolate, or tea? The cup would be misleading. They'll have to have two types of cups from now on! 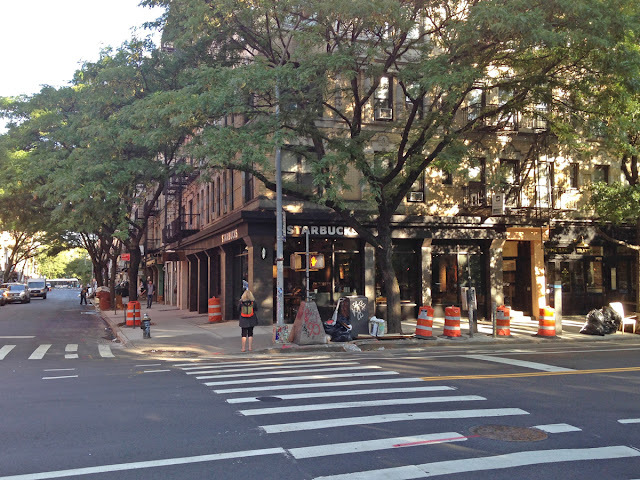 Luckily, the local Starbucks, on Avenue A and St. Mark's Place, won't have to do this. Local Starbucks on Avenue A and St. Mark's Place. East Villagers can continue to enjoy their coffee without scary death faces on their cups!